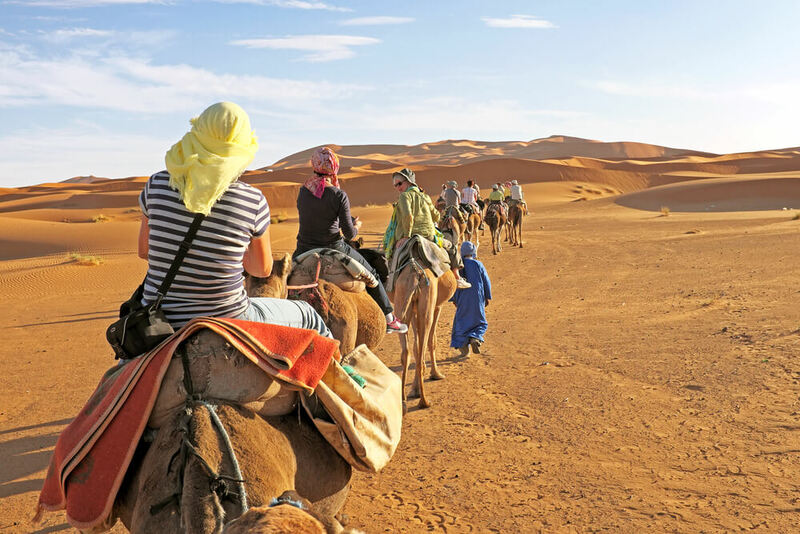 Get prepared for the great desert trips with the exotic Camel Safari in Rajasthan and have an unparallel experience. Deserts have an alluring charm of their own that attracts millions of tourists across the globe every year. 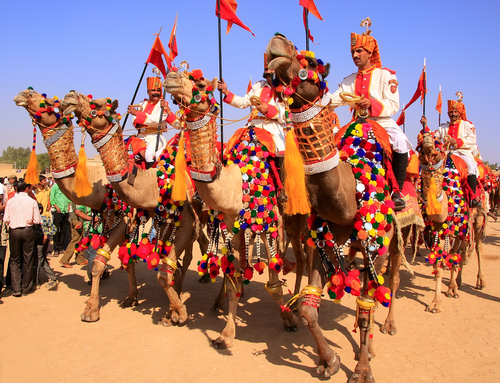 Camel safaris are among the novel ways to explore the beautiful city of Rajasthan. The city of Jaisalmer and Bikaner offers to you an opportunity to get a glimpse of the traditional Indian life in the desert. If one traces the origin of trade between India and China, one will come across the importance of these camel safaris in Rajasthan. Precious jewels, herbs and spices were exchanged along the established trade routes through the camel caravans. A trip to Rajasthan with Rajasthan Holiday Packages is a must for all adventure loving people. Experience the rustic life of Rajasthan with a twist. The accommodations or the resting place that you will find on the way are designed as the primitive thatched mud huts so that you get the essence of rural Rajasthan. Camel safaris usually wrap the places around Jaisalmer, Bikaner or Jodhpur. These three cities are popularly called the desert circuit by the locals. The duration of your travel can vary from a day to around two weeks. Route navigation in the desert is something you will need throughout your journey. The locals have acquired this art for generations. The caravans are manned by the riders who know the position of the stars as well as recognise the shifting sands of the terrain from time to time. However, whether tiring or relaxing, a camel safari in Rajasthan is completely a unique experience. Even though the camel ride can be tiring at times, it is certainly a matchless experience for all. A travel to Rajasthan will surely be a once in a lifetime experience. Get prepared for the great desert trips with the exotic Camel Safari in Rajasthan and have an unparalleled experience. Plan your trip now!